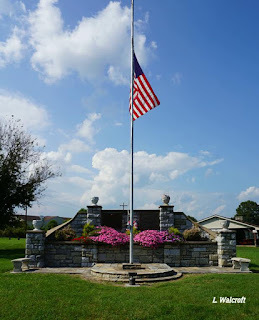 The View from Squirrel Ridge: Memorial Park in Elkton, Virginia. 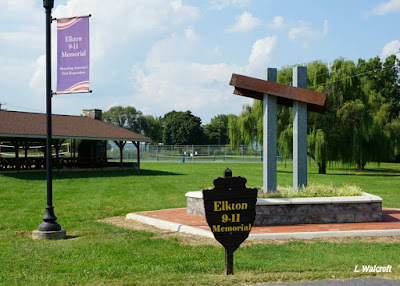 Memorial Park in Elkton, Virginia. It's September 11th so I'm sharing a few pictures of the Elkton 9-11 Memorial. I did share a single image of this at the end of August because I had a dramatic shot of it that I wanted to post for a black and white linkup, which they turned out to like enough to show it this past weekend. 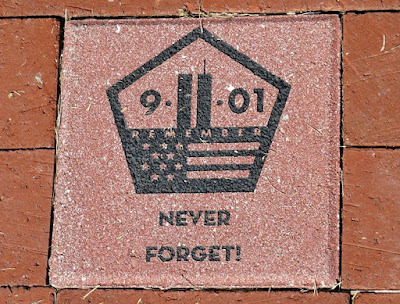 This day seventeen years ago is etched in the memory of almost everyone who was old enough at that time to understand what was happening. 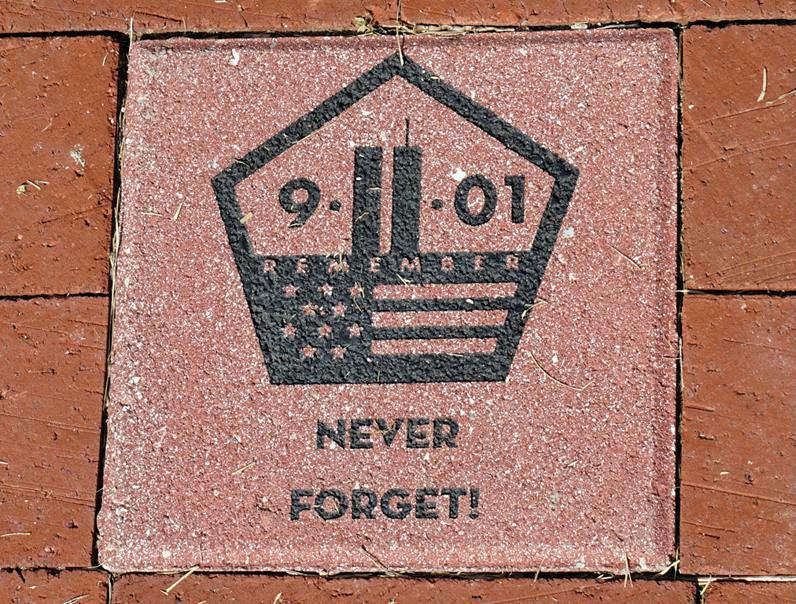 I won't repeat what I wrote about it on the 10th anniversary of that shocking day because you can click through if you are curious. The Elkton memorial is in Stonewall Memorial Park. 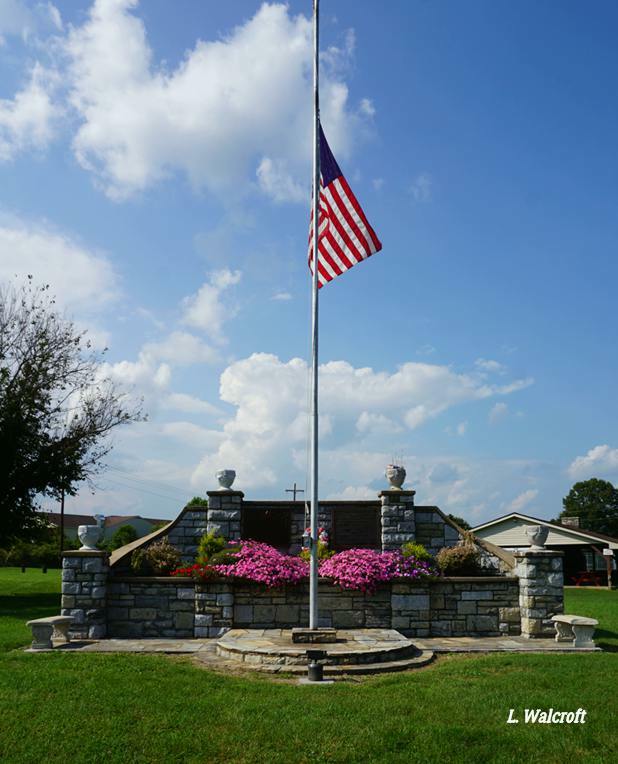 Also in the Memorial Park is this attractive monument honoring the town's veterans. 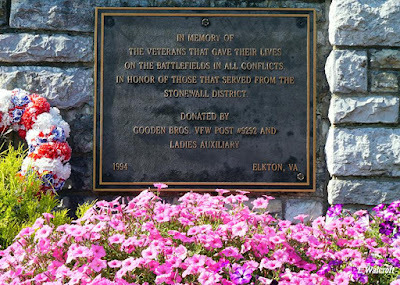 "In memory of the veterans that gave their lives on the battlefields in all conflicts. 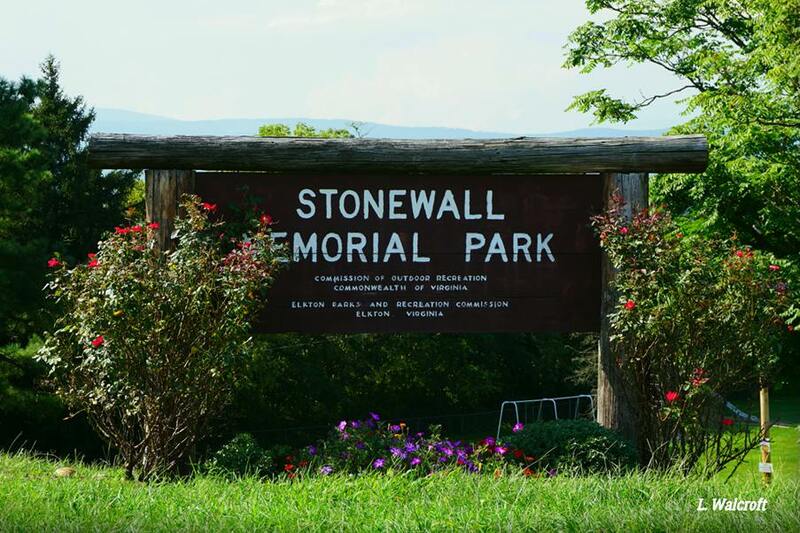 In honor of those that served from the Stonewall District." I love the petunias here, so beautifully cared for, and I'm sharing them with Floral Bliss, a linkup that is ending this week. I also like the stonework on this memorial. The flagstone looks like Bull Run Mountain stone. ...Linda such a lovely memorial. 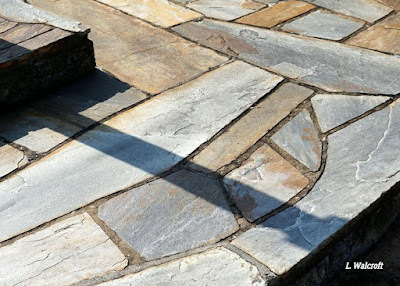 The simple design of the 911 stone is wonderful. Thanks for stopping by. It is lovely. So peaceful.